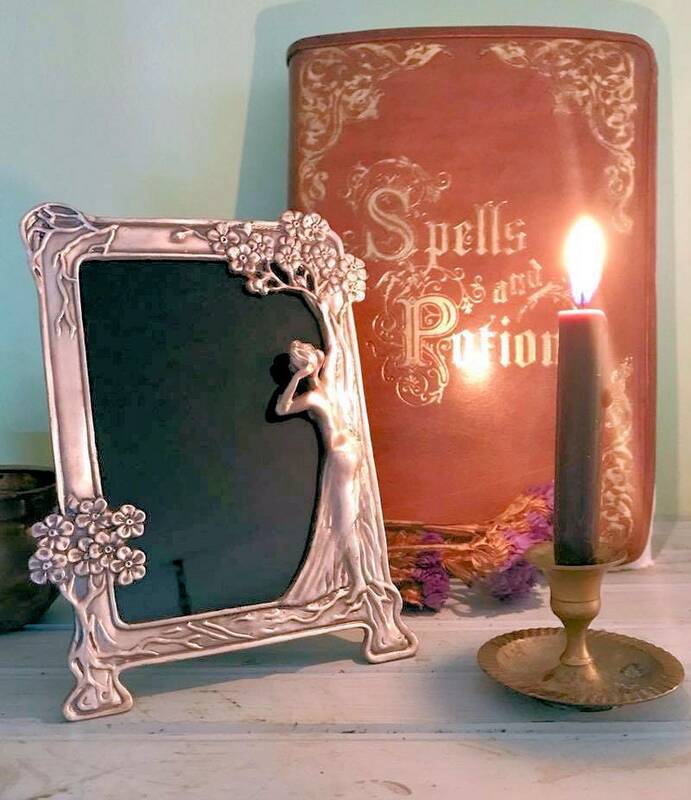 This is a smaller version of the large brass one that I also have in the shop. 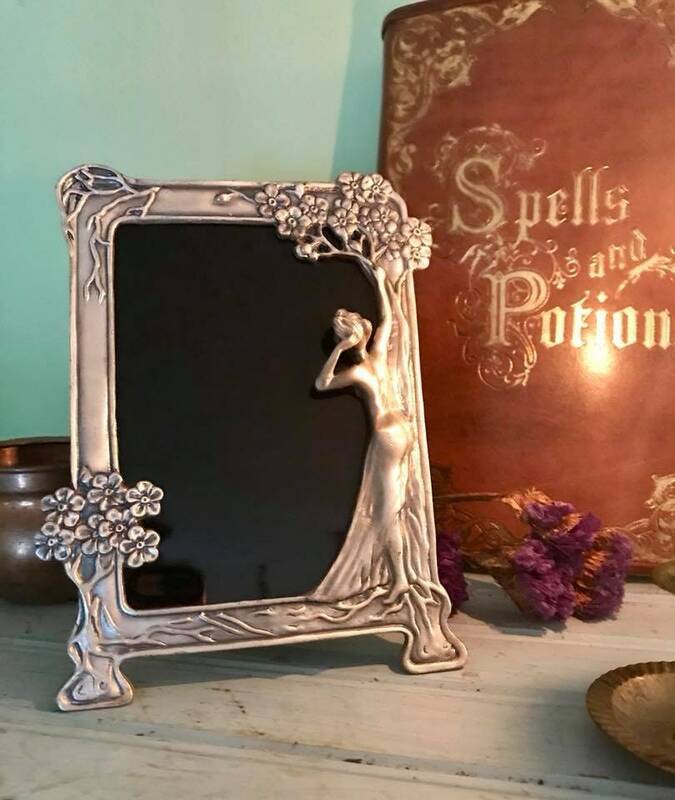 It fits perfectly in your hand if you prefer to hold your mirror while you scry. 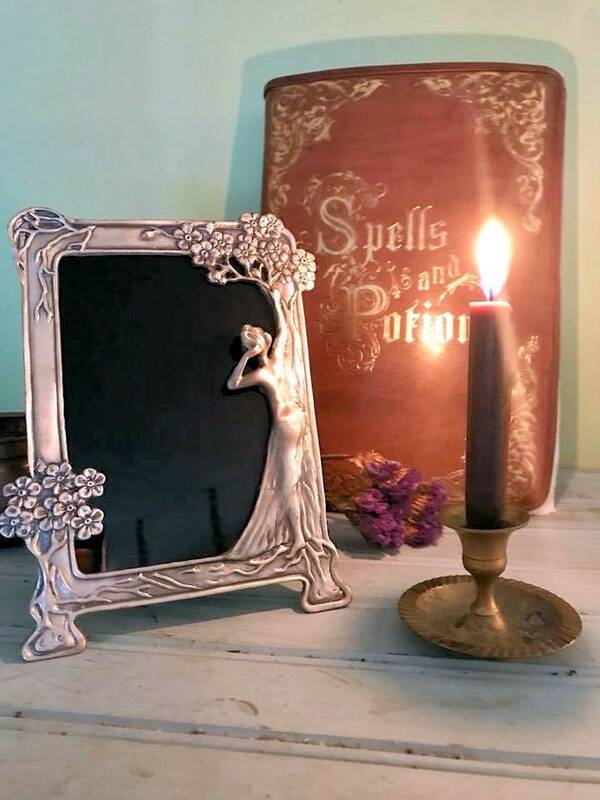 This is a gorgeous scrying mirror that I have crafted from a Victorian Art Nouveau pewter frame. 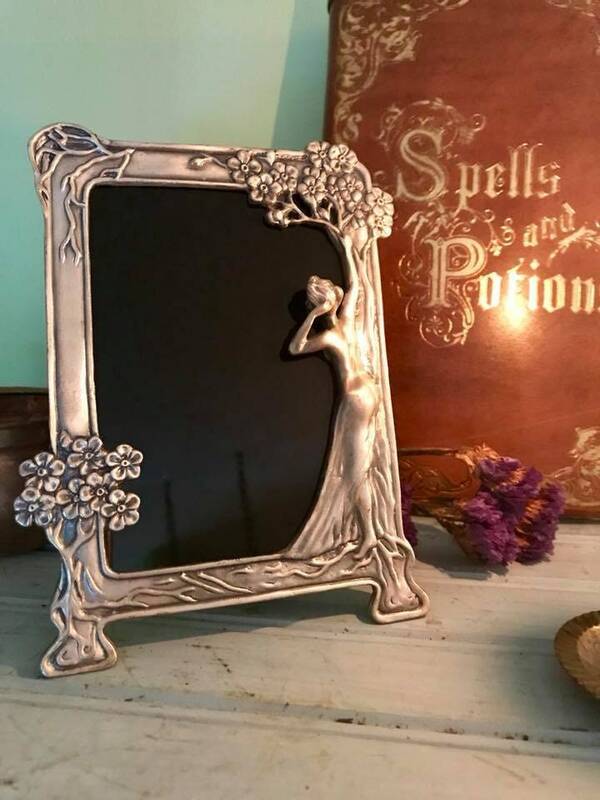 It features a young girl in a sheer dress looking around a tree into the mirror. 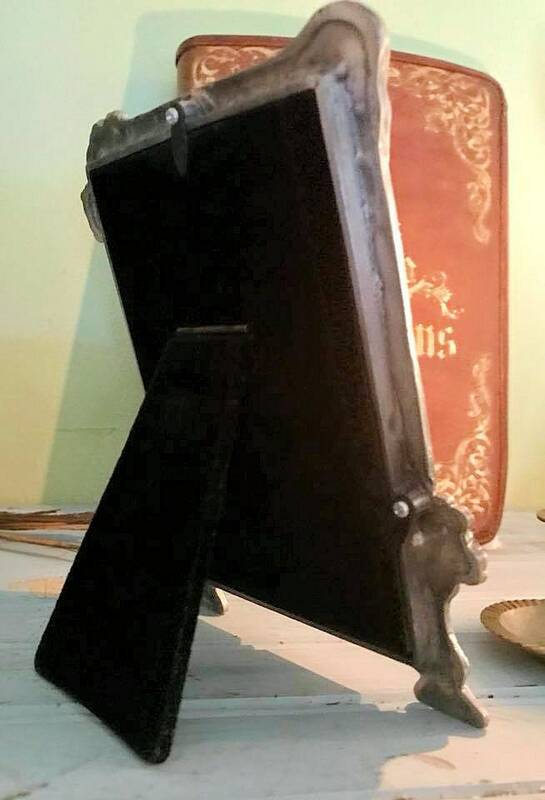 It is in excellent shape for its age and still has the original backing with the easel foot. The full frame measures 6 1/4 inches tall by 4 1/2 inches wide. 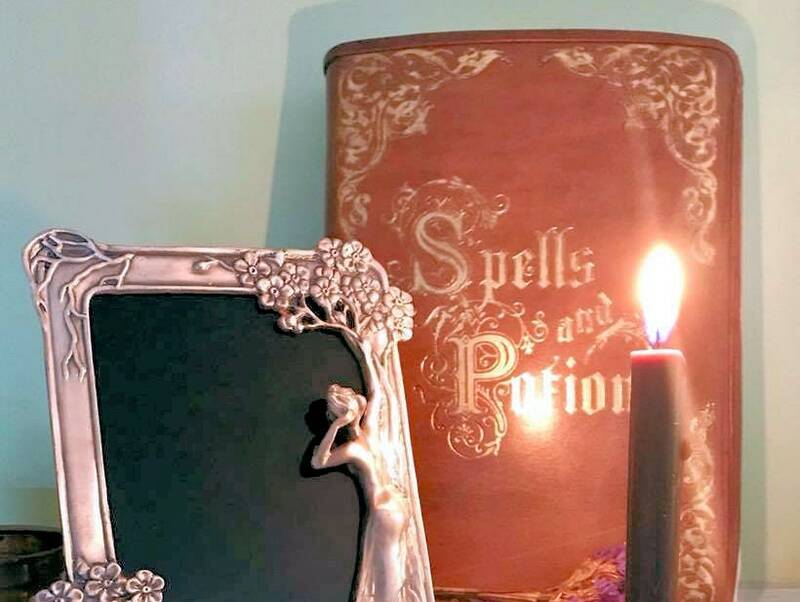 The scrying area measures 3 1/4 inches wide by 4 1/2 inches tall.